Schooner chilling at the Casa Marina! So far, Meeting of the Minds has been two of the most fun and most exhausting days ever! 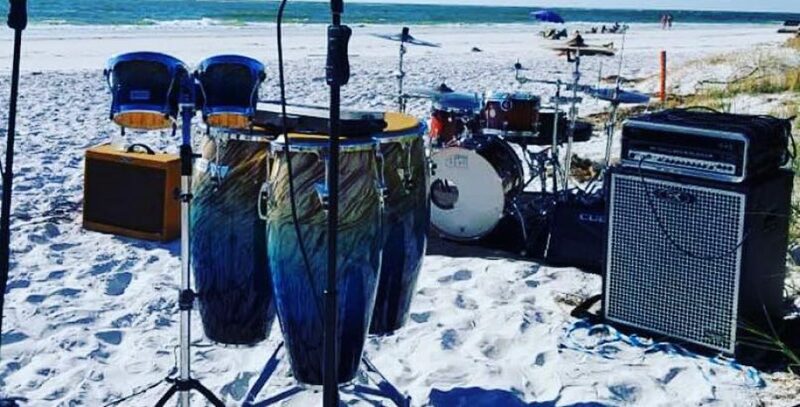 It’s so nice to be back in Key West with my Parrot Head PHriends, listening to some of my favorite trop rock performers and playing songs from my new CD. We hit the MOTM Mini Mart first thing this morning, ran into Sunny Jim, and then relaxed on the beach a bit. Even though I lived in Key West and have vacationed here countless times, I’d never been to the resort and didn’t know it was that gorgeous. I’m ready to make my reservation for next year now! Checked out Mike Armstrong on the Duval stage in front of Margaritaville during the street fest. Those Landsharks sure tasted good. 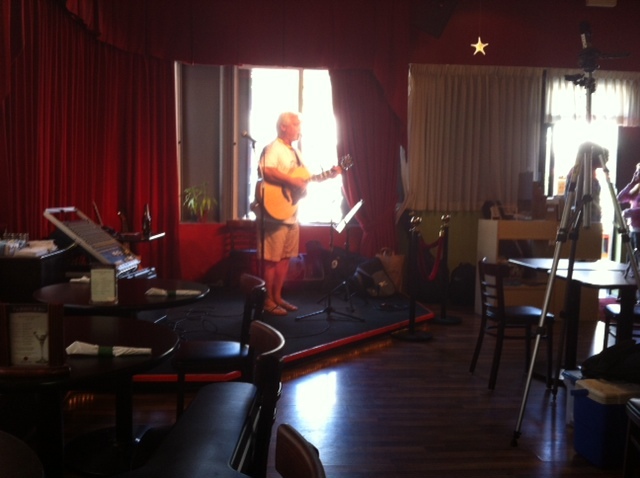 Then it was down to Koz’s Green World Gallery for the Key West debut of my first solo CD, Mid-Life Vices. Ran into some of my PHavorite PHriends from the Bluegrass Parrot Head Club, and it was so great seeing some friendly faces from home! 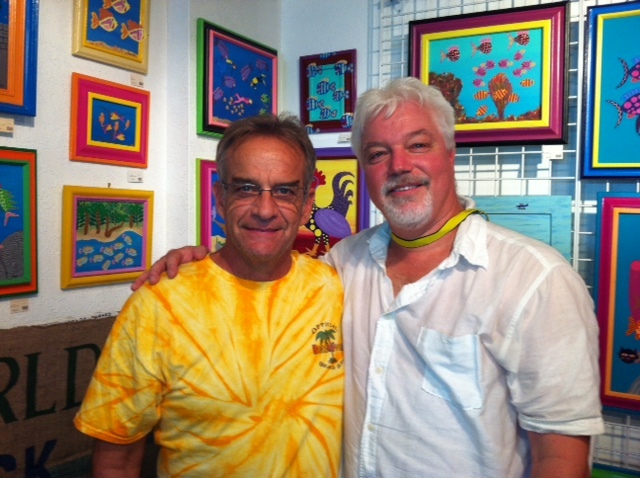 Schooner and one of trop rock’s biggest supporters, Koz of Koz’s Green World Gallery. Headed down to the Tree Bar for the best margaritas and Bloody Marys on the island, then over to Turtle Kraals, one of my favorite haunts from the good ole days, for some mid-afternoon dinner. Capped the afternoon off with a frozen key lime pie on a stick dipped in chocolate from Kermit’s Key West Key Lime Shoppe — the best ever — then back to drop off the family at the hotel. It was so good to see some of the Bluegrass Parrot Heads today!